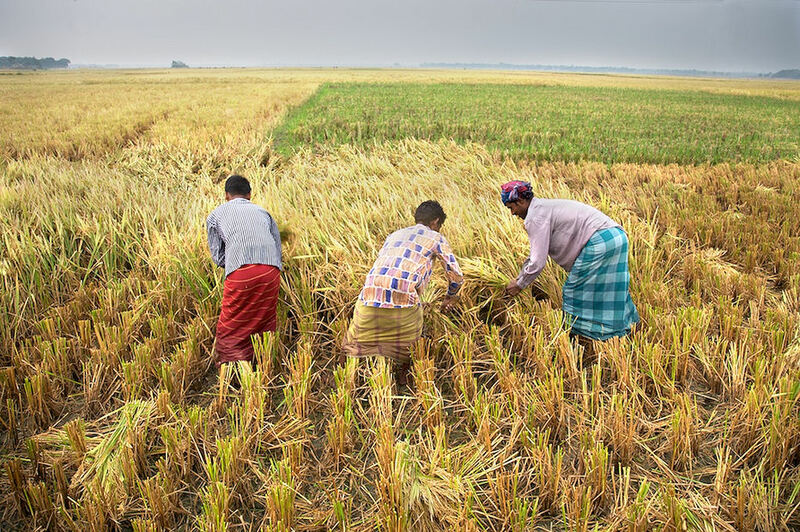 Bumper Aman rice production has brought smile to the faces of farmers of Comilla district removing their worries caused by recent flashfloods that damaged their crops on vast swathes of land. According to officers at the Department of Agriculture Extension (DAE) in Comilla, this year the Aman production in the district has surpassed the target, as some 3,011,750 mts of Aman rice has been produced against the target of3,11,112 mts this season. Despite natural disasters, 16 upazilas of the district have achieved the bumper rice production this season and the festival of rice harvesting has begun among the farmers' families. Dilip Kumar Adhikari, Deputy Director of district DAE, told UNB that this season a total 1,07,500 hectares of land was brought under Aman cultivation against the target of 1,07,280 hectares. As the fields have turned colorful with the golden aura of Aman, the farmers have got busy harvesting their paddy. The deputy director said the new harvest has hit the market and the farmers are returning home in an upbeat mood. "Having good return this time, the farmers will surely go for paddy cultivation next time, too," he said. Khalilur Rahman, a farmer, told UNB that he was worried about the cultivation this year due to excessive rainfall but fortunately the harvest has been very good. Nur Baksh, another farmer, said the Aman rice production success will inspire them to cultivate Boro rice as well. The rice production will get a further boost if the agriculture department carries out an intensive supervision over Boro cultivation, the farmer said.